Explore one of Spain's oldest and most beautiful wine regions during your stay at Mas Palou. Known for its wine, incredible fresh food, and stunning mountain and vineyard vistas, the Penedès region is a hidden gem to be explored. The area has long been considered one of Spain's best wine-producing regions, and is one of the most ancient viticultural areas in Europe. 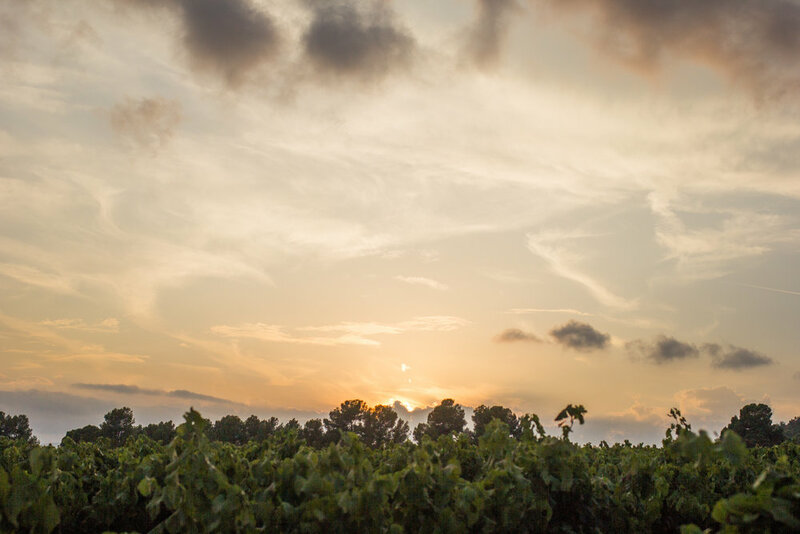 The Mediterranean climate and varied landscape enables a diversity of wines to be produced, and Cava, sparkling wine, stands out as a distinctly Catalan choice of drink. Though Cava is made in a similar process to French Champagne, the grapes used are local Spanish varietals such as Xarel.lo, Macabeu and Parellada (the trio of Cava). Cava varies from very dry to sweet, providing a wine for every taste. Do taste the Penedes white and red whites, though, and you will be impressed! Are you interested in natural wines? We are making them, too! There are an abundance of wineries in the area -- some of which we sell our grapes to. Guests look for different things when visiting a winery so we are happy to recommend places and book tours based on your preferences. To read more on tastings and recommended wineries, check out our Instagram!